This natural take on old-fashioned smelling salts is an inspiring office pick-me-up. Reach for this instead of a caffeine-laden cup of coffee. Recipe Instructions: Massage Oils/Essential Oil Blends :Combine ingredients in a lidded jar or tin, shake, uncap and enjoy the aroma. 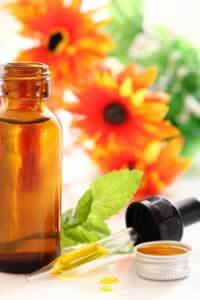 Replenish oils as desired.